Description : Banners: attached, but you can use your own Traffic: adult and mainstream Wifi: no wifi Adult traffic is allowed. No restrictions. 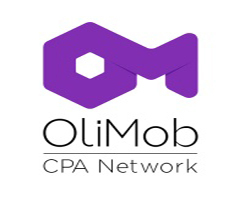 We are a Mobile CPA Network and Direct Advertisers, mVAS and 3G Traffic Specialists. We are working with mobile 1-click flow offers worldwide. We have only working offers that will help You to increase Your fortune. You can always see any offers last conversion time for Your convenience. Easiest conversions and high-profitable payouts. - New and exclusive mobile campaigns with best payouts. - Real-time reporting and tracking from our platform allowing You to optimize at Your convenience. - Our own Smartlink with optimization tools. - Daily generated top by RPM. - User-friendly, customizable and easy to integrate. - Powerful tracking and analytics to help maximize Your campaigns performance.